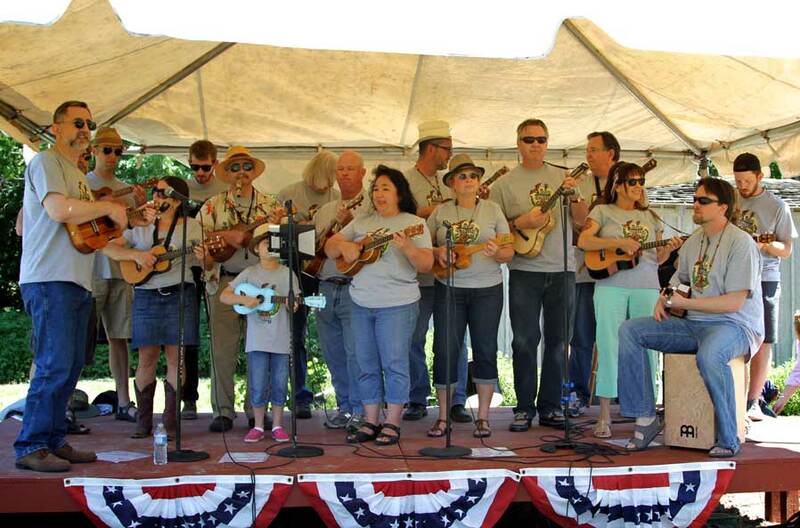 We had a great time at the Austin Family Music Fest at the Pioneer Farm in North Austin on Saturday the 21st. You can find these pictures and more here. We played a ten-song set, which went very well–the audience really enjoyed us. 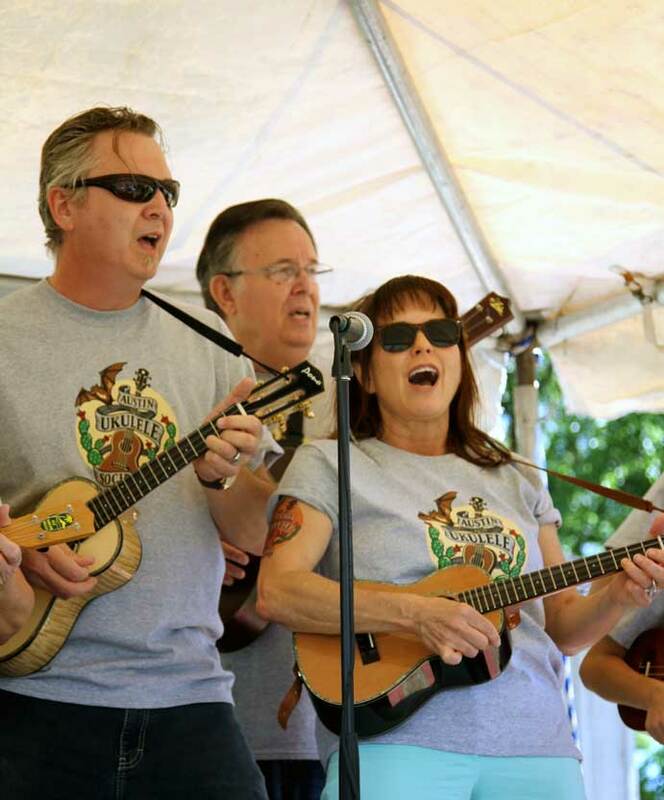 If you’ve been to any of our meetings, you would recognize the songs–like “On the Road Again,” and “Flamin’ Ukulele in the Sky”. It’s fun to play outdoors. This entry was posted in AUS activities on April 21, 2012 by Austin Ukulele Society.